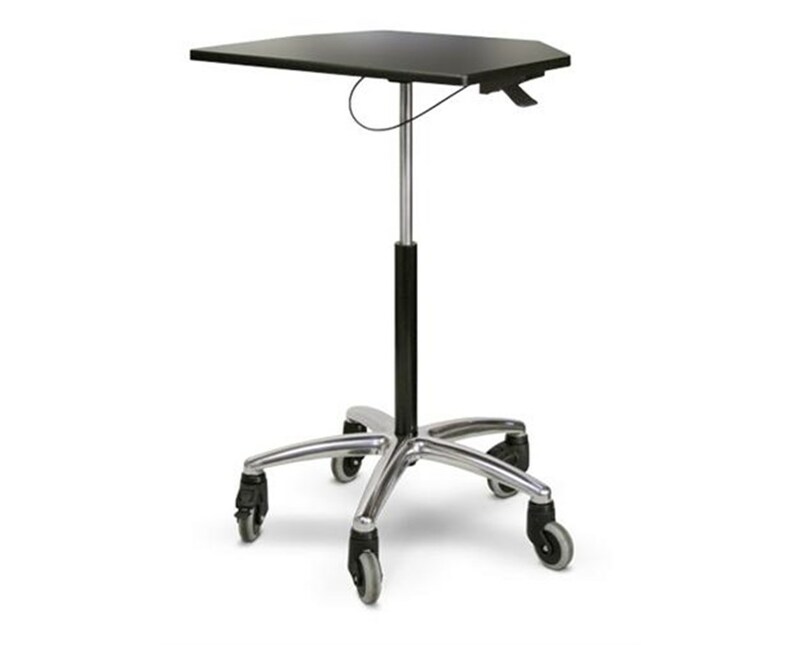 Effortless height adjustment 28" to 41"
ESI's Workstation on Wheels Base Model is mobility simplified - a large worksurface and smoothly efficient caster offer no-fuss functionality for a variety of work spaces. The black, ergonomic platform measures 26.5" W x 22.5" D, with an 11.5" back edge and 15" side edge. It has a thickness of .875" and can be customized - contact our support staff for more info. Height adjustment of the platform ranges from 28" to 41" via pneumatic lift (controlled by a wired controller). 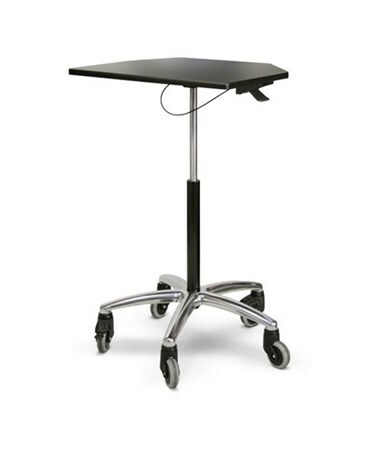 The Workstation on Wheels' stable base has a diameter of 28", with 6" heavy-duty casters and an 8.25" tall middle section. The station's weight capacity is 20 lbs and it includes a cable management system. Work Surface Height Adjustment Range 28" - 41"